Dr. Dirksmeier is extensively trained in the operative and non-operative management of all developmental, degenerative, pathologic, and traumatic conditions of the spine. A native of New England, Dr. Dirksmeier attended Holy Cross College in Worcester, Massachusetts on an ROTC Scholarship. Upon graduation, he was commissioned a lieutenant in the United States Marine Corps and served as a marine aviator and intelligence officer before earning his medical degree. While completing his general surgical internship and orthopedic surgical residency, Dr. Dirksmeier developed an interest in spinal surgery and completed an orthopedic spinal surgery fellowship under several nationally known experts in the field. 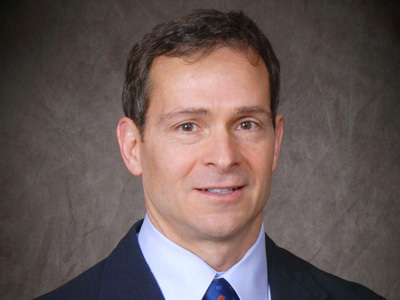 Dr. Dirksmeier has been involved in spinal surgery outcomes research and has published technique articles in subspecialty journals describing his minimally invasive surgical techniques. His elective practice is devoted to evaluating and treating spine problems. Dr. Dirksmieir is on staff at Frisbie Memorial Hospital in Rochester and Wentworth-Douglass Hospital in Dover, where he serves on the Board of Trustees. Did you know? Dr. Dirksmeier is on the Board of Trustees at Wentworth-Douglass Hospital.